This week, Kate Bolton, head of PR and communications at Temenos, explains “Collaboration for Good” – the world’s first banking industry charity challenge. Collaboration, it seems, is the answer to all our woes. Our news feeds are full of how banks and fintechs must work together to deliver banking industry salvation, customer joy and, ultimately, world peace. I am sure it’s true for all organisations, but in reality the ones that win at the collaboration game are the ones who can sustainably attract the most attention (for the right reasons! ), gain the best reputation, and have the strongest network. And today it’s all about the social media buzz. You’ve only to look at Twitter during the next innovation hack or industry conference to see the power of social media in attracting attention to the organisations involved and creating those valuable brand associations. It stands to reason, then, that we should find ways to continue the comms buzz once the originating event has died down. But what could we collaborate over that would continue to have a positive impact on our business and be of benefit to everyone involved – even our customers!? To me, the sustainable answer lies in a new initiative called Comms for Good, which provides a way for the banking industry to extend collaboration and comms buzz to include the charitable causes we care about. We collaborate, we communicate, we do business AND we do good. The comms potential in THIS kind of banking industry collaboration is huge… and the impact we can have as a collective on our community by supporting local causes is limitless. 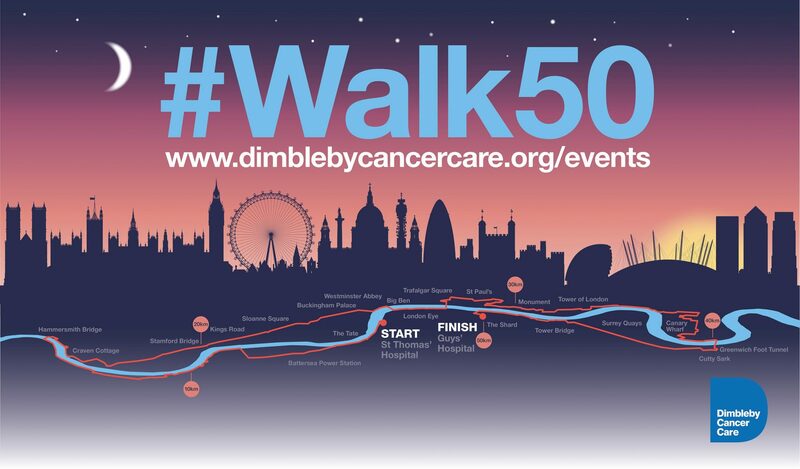 To kick things off, I have set a banking industry charity challenge – to sign up for a 50km night walk across London on 9 June in support of local cancer charity, Dimbleby Cancer Care. Temenos has signed up a team of walkers already – and I am calling for banks, fintechs, and industry stakeholders to join them. Sign up, or better still get your organisation to register a team, and share the fact with @CommsGood on Twitter using hashtag #CommsForGood. Last week’s Monday mindset showed how short and sweet polls fill a good role.